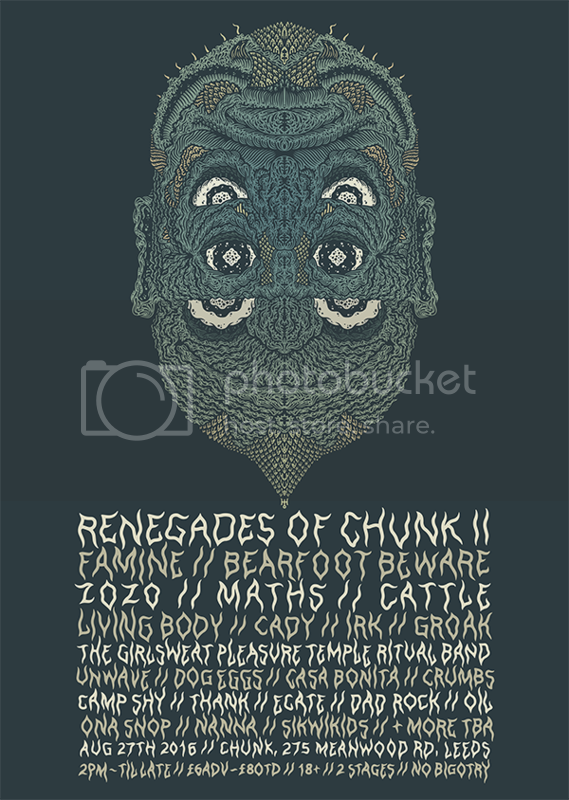 Second edition of the big bad fundraiser for the Chunk music collective!! Only one day this time round, fully licensed with DJ's until late! Guaranteed banger, more bands to be announced too! CHUNK is a rehearsal studio/music venue/art space in Leeds. CHUNK is operated by a small group of musicians and art lovers. CHUNK works in the spirit of DIY. CHUNK is independent, not for profit, and runs on love and noise. We'll also have food on a pay as you feel basis courtesy of the mega tasty Armley Junk-tion!